Personal Care Home Or Nursing Home? What Is The Difference? How Do I Choose? As the concept of personal care or assisted living has evolved and the number of facilities continues to increase, the public and even some healthcare professionals may have a difficult time differentiating between the two levels of care. Today’s personal care and assisted living communities may provide similar services to a nursing home, however, there are significant and important differences in atmosphere, levels of care and cost. Most importantly, the resident’s long-term health and happiness are affected by the choice. In simple terms, a skilled nursing facility or nursing home serves the long-term, chronically ill or severely debilitated patient. Skilled facilities provide similar services to a hospital and have a more clinical setting. In contrast, assisted living serves those who need assistance with daily activities and desire 24-hour security with a maximum level of independence. The assisted living resident is often ambulatory, perhaps with a walker or cane; however, residents with lower levels of mobility can also be accommodated. Cognitive levels can vary from normal to declining levels, including Alzheimer’s. Placement decisions are ultimately made by the residents and their families. However, a host of individuals should have important input into placement. Assessments to determine the appropriate level of care are done by physicians, social workers, and the professional staff of each community. Unfortunately, the inappropriate placement of seniors occurs in both types of settings and may be due to poor assessment or lack of understanding of the levels of care available in different settings. While the levels of care are clearly higher in skilled facilities, the newer and more professional assisted living residences offer 24-hour nursing assistance, preventative and chronic care, rehabilitation therapies and directed daily activities. Finally, cost is a concern to nearly everyone. A typical assisted living residence costs about $4,000 – $6,000 less per month than skilled care. The assisted living residence also offers as much independence as the individual wishes, opportunities to shop and socialize with peers, and the ability to maintain as much of his or her lifestyle as he or she desires. Placement of a loved one can be a difficult and confusing process. Ultimately, the goal is a move to a residence where residents and families feel comfortable and confident that the physical, emotional and spiritual needs of their loved one will be met. With great availability of support and the right resources, the proper placement can be made. 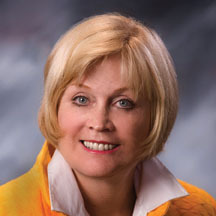 Dianne Duffy is the Community Relations Director at Glen Mills Senior Living, a Five Star personal care home (formerly known as assisted living) which also provides short-term respite stays, located at 242 Baltimore Pike in Glen Mills, PA. Glen Mills Senior Living residents live in their own private apartments while enjoying the support of the community’s caring team, which includes 24×7 on-site nursing staff. 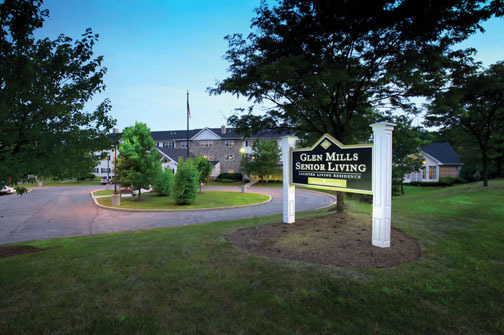 Owned and operated by Five Star Senior Living, one of the country’s largest and most trusted providers, with over 210 communities in 30 states, Glen Mills Senior Living is proud to help seniors and their families discover a healthier, happier life. Dianne invites you to call her at 610-358-4900, to make a reservation for a complimentary lunch, learn more about Glen Mills Senior Living, or to discuss your family’s financing options. Mention this article and you will save $1,000 off of your first full month’s rent. ← Previous Story Type 2 Diabetics Metformin: Friend Or Foe? Next Story → 50 Things That Must Be Done: On The Most Difficult Day Of Your Life.